The Shining Ones. During this stage the student of the Yew Mysteries learns to work with the forces and beings behind the workings of the elemental world in Nature. This involves a deepening perception of the activities of the Underworld (Annwn) of the Yew Mysteries and with that, the recognition of an etheric ancestor being. This ancestor being is not linked to the human hereditary stream. Its consciousness is of the Shining Ones, sometimes referred to as the Sidhe. 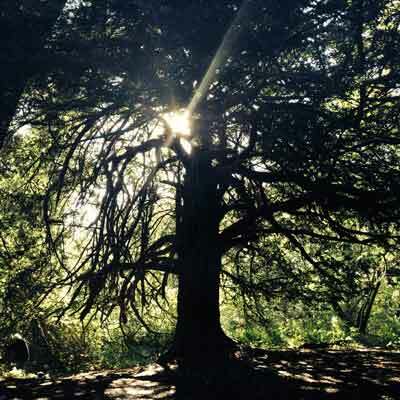 It is known that the Tuatha de Dannan of Ireland were deeply linked to the ancient yew trees. 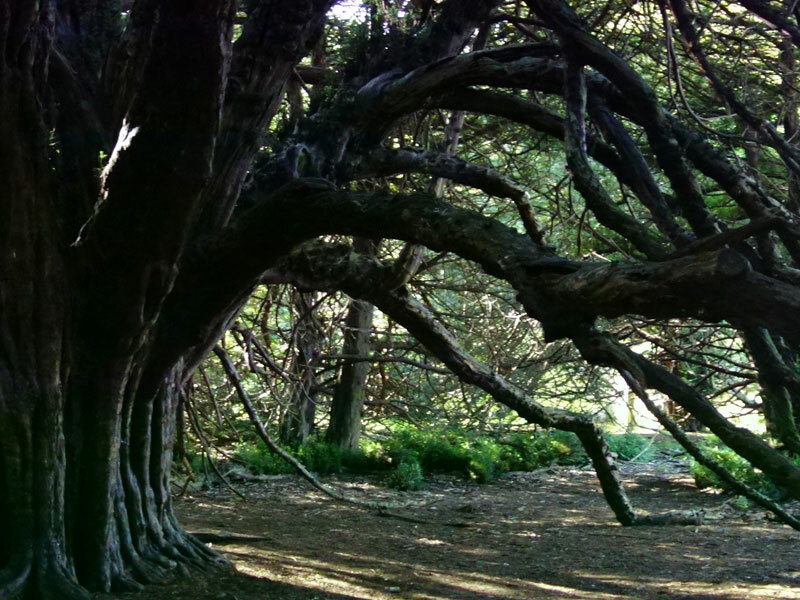 The father, brother and sons of Danu, the yew goddess, all possess names derived from the yew such as Eogabal, 'crotch or fork in a yew tree' (suggestive of the yew as a womb) and Fer hI, 'Man of Yew' (the origin of the word Fairy perhaps!) Yewshamanic skills at this level involve developing the ability to align with the spiritual intelligence of this Sidhe ancestor as it relates to the original otherworldly gesture and healing force of the heart. We learn to experience this ancestor being as a key function of our wholeness. This is known as the Embodiment of the Yew Mysteries. Check back later for pricing and details.